Broer, H.W, & Takens, F. (1996). 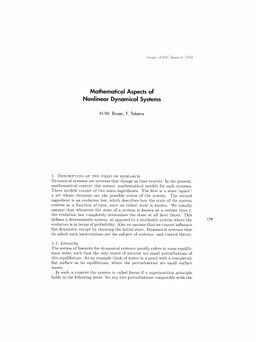 Mathematical Aspects of Nonlinear Dynamical Systems. In G.Y Nieuwland (Ed.), . Stichting Mathematisch Centrum.